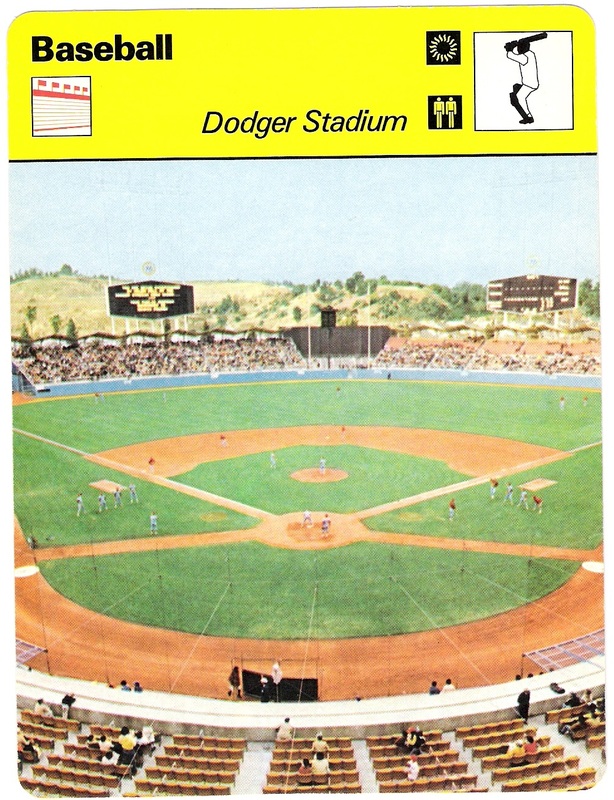 here is the 1977-79 (printed in 1979) sportscaster card for dodger stadium, including all of the appropriate heiroglyphs used to identify it as a sporting venue, perhaps outdoors that seats multiple people. makes it the largest capacity baseball stadium in the majors? only because the marlins don't open up half of joe robbie to ticket sales, i suppose. 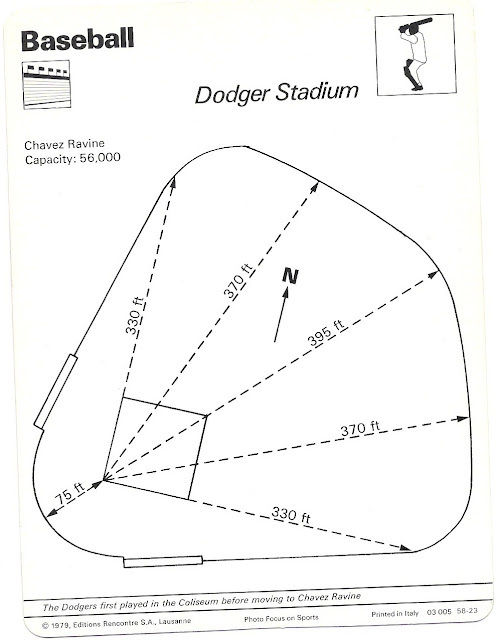 furthermore, did you know that dodger stadium was designed so that the second level could be constructed at a later date to connect all the way around the outfield? both statements are true, but i didn't learn that from this card which is pretty much worthless when it comes to providing information. we do get to see the nice yet character-less symmetry of the playing field and the pitcher-friendly ridiculousness of the foul territory that existed before frank mccourt built a bunch of high-priced seats. the photo is not too great either, as the san gabriel mountains are totally washed out by the haze. didn't they have lens filters back in the late '70's? it is nice to see, however, the lower center field sections of each pavilion before they were 'blacked out' for the batter's eye. that's how i remember the stadium. 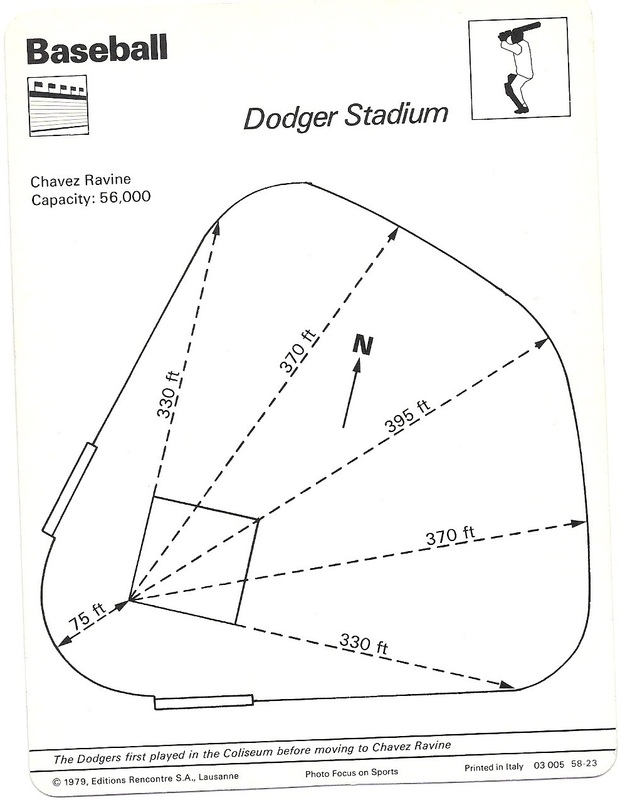 after today's game, chavez ravine will be empty now until next spring and that's too bad. except for the fact that mccourt won't be making any money. that could be a good thing. 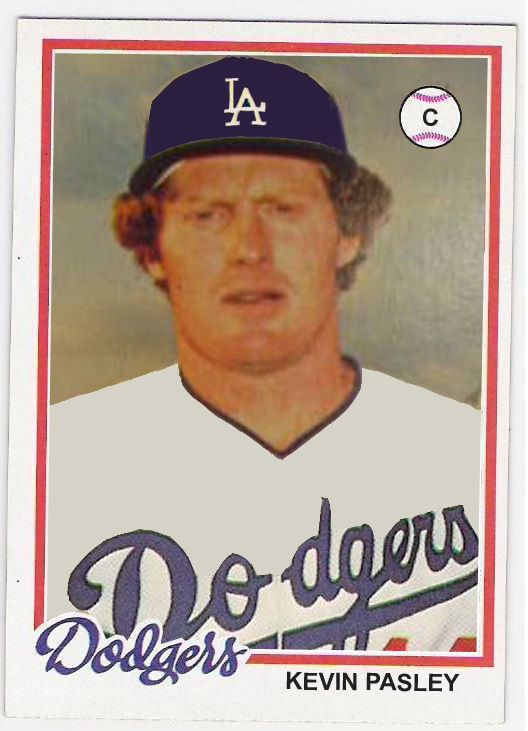 you might argue that rudy seanez is really a dodger 'triple dipper'. you might be right. 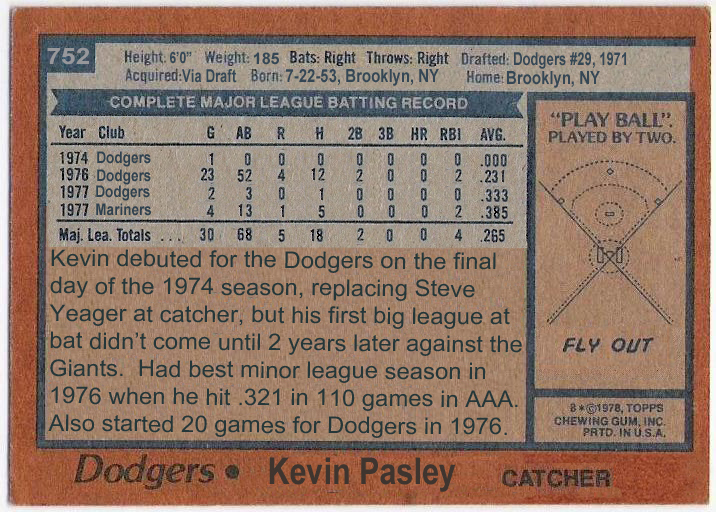 but, i am making the rules about these posts, and i am only considering players who have appeared in a big league game as a dodger before leaving the organization and then returning. that's why guys like denny lewallyn and joe moeller qualify (even though they didn't appear in a game for the other team they were acquired by in between terms with the dodgers) and guys like ted lilly and ron coomer don't count. 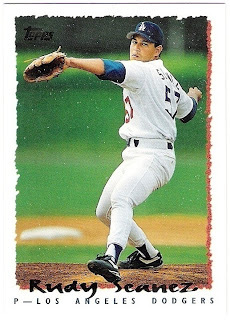 seanez, who was acquired from the indians by the dodgers in 1991 in exchange for mike christopher and dennis cook, didn't appear in the bigs for la until 1994. by then, he had spent time in the rockies' and padres' systems including some time in the majors with the pads. in fact, seanez was the guy the dodgers sent to the rockies in 1992 for jody reed. 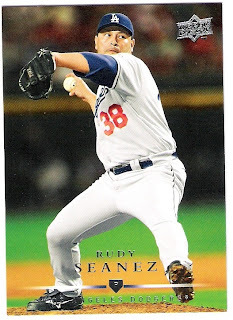 seanez spent 1996 in albuquerque with the dodgers' aaa team, and then became a free agent at the end of the season. 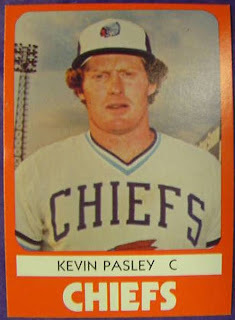 he signed with the mets, who traded him to the royals in may of 1997 before he appeared in a game for them. 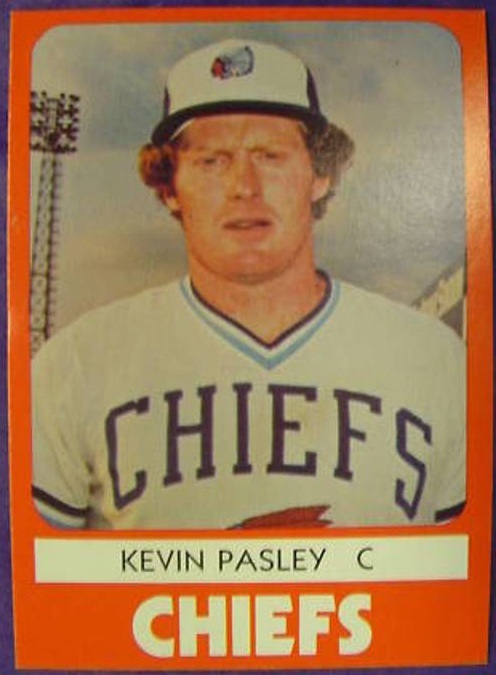 he didn't pitch for kansas city in the bigs, either. he finally landed with the braves for the 1998 season, and put together his best years there. 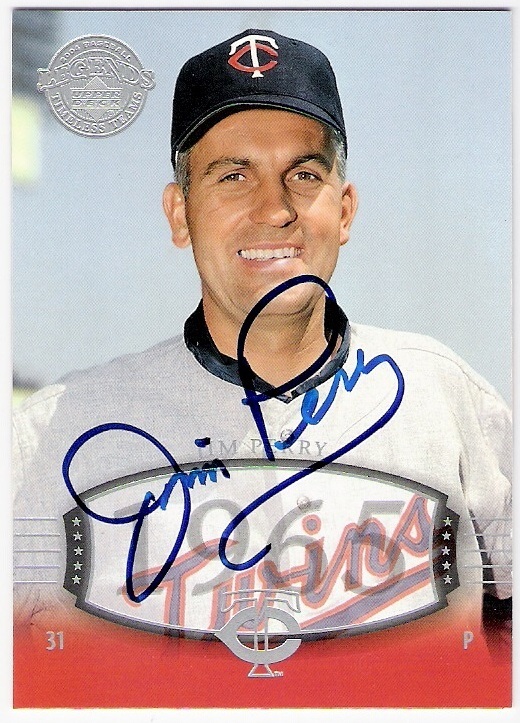 he went 12-6 with 7 saves and a 3.30 era in 125 games for bobby cox from 1998 through 2000 (plus a month of 2001 when he became a braves' double dipper). seanez had also pitched for boston in 2003. in between, he spent time in the cubs organization, and then pitched in the majors for the royals, marlins and padres (for the second time). 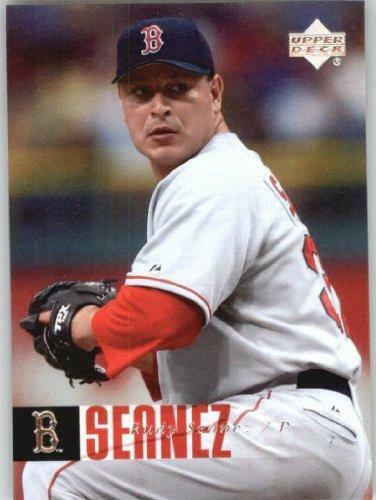 the red sox released seanez in august of 2006 and the padres brought him in for a third time (a padres' triple dip!). as a result, seanez was on the mound in the bottom of the 10th in the 4+1 game and walked kenny lofton before giving up the walk-off homer to nomar. thanks rudy! 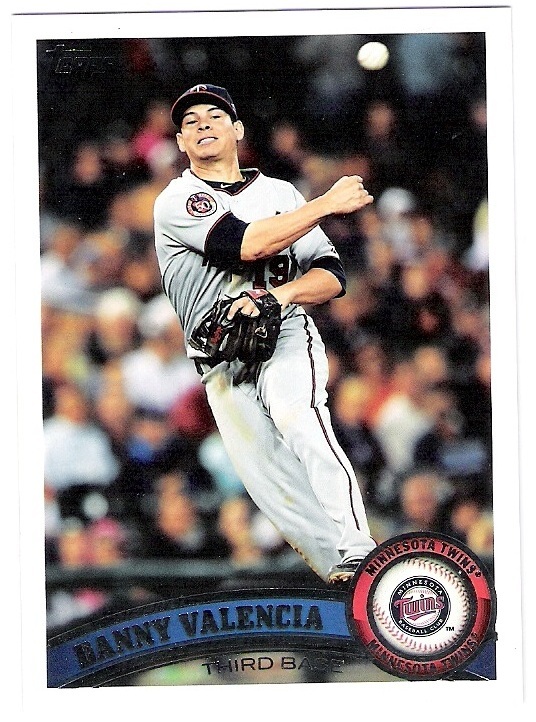 he re-signed as a free agent in early 2008, but was cut by the dodgers in spring training. seanez quickly signed with the phillies, and pitched for them during their run to the nl east title. unfortunately, he was not on the postseason roster. i am guessing he still got a ring, though. 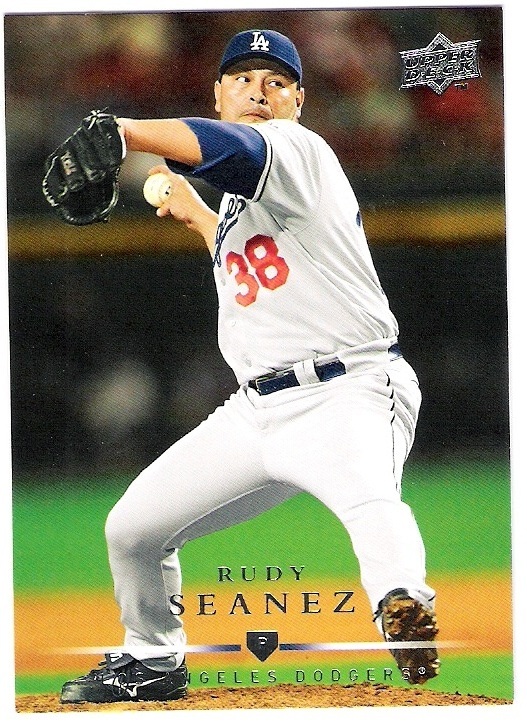 seasnez finished his big league career with the angels in 2009, although he didn't appear in a game for them. 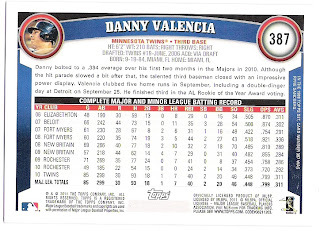 let's recap - that's a 17 season career in which he appeared in a game for 9 teams and was part of 13 organizations, including multiple stints with the dodgers, royals, braves, padres, and red sox. and he wasn't even a lefty! here's to you rudy seanez! yesterday was the 5th anniversary of the 4+1 game. 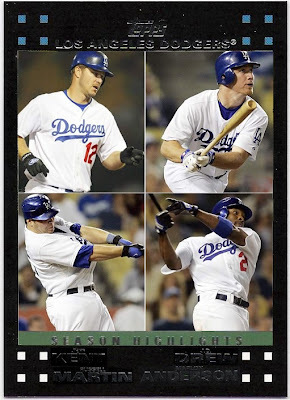 it's hard to believe that it has been 5 years since nomar had his great comeback season, and jd drew was a dodger, and andre ethier and matt kemp weren't starters. 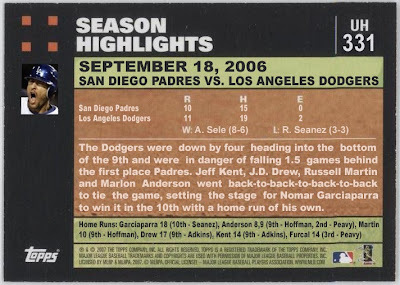 the game i refer to is the game in which the dodgers were trailing the first place padres by a half game in the standings and by 4 runs heading into the bottom of the 9th. jeff kent led off the inning with a home run off of jon adkins. jd drew followed with a dinger of his own. the padres replaced adkins with trevor hoffman, and russell martin took him deep on his first pitch. on the very next pitch, marlon anderson, who had homered earlier in the game off of jake peavy, tied the game with the dodgers' fourth consecutive solo blast. the next batter was julio lugo who had a chance to be a hero. 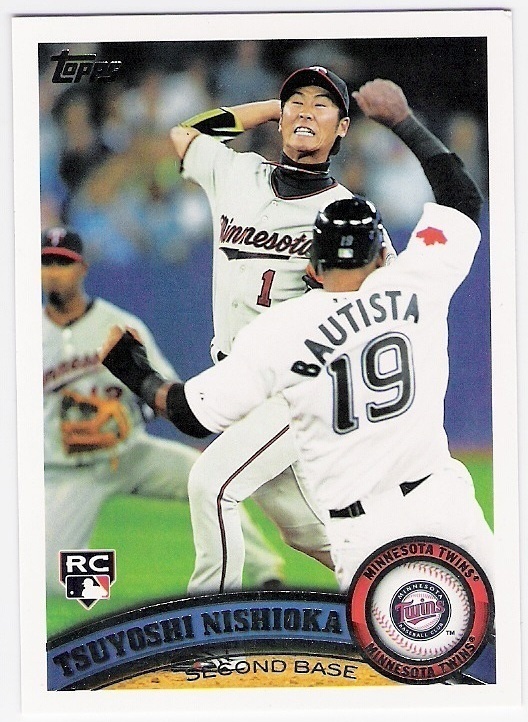 instead he flied out to center. the next two batters made outs, and aaron sele allowed the pads to retake the lead with a run in the top of the 10th. in the bottom of the inning, kenny lofton walked and nomar victimized padres reliever and dodger double dipper rudy seanez (post coming soon) with a walk-off home run. joyous mayhem ensued. i love this photo. it, or a wider version of it, was my desktop wallpaper for a couple of years. 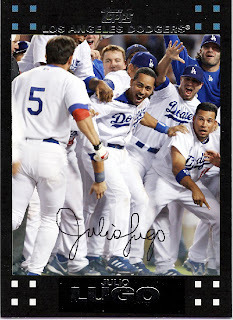 that's lugo in the middle of the card as nomar makes his way home. we've also got some lurkers - furcal pointing to the plate, joe beimel, russell martin, jd drew, derek lowe and others, too. what a great memory. too bad it didn't matter much, as the dodgers wound up in second place despite the outcome of this game, and then were swept in the nlds by the mets. what's my wallpaper now, you ask? for about the past year, i've used this photo. a different kind of memory. and the other in the away grays. 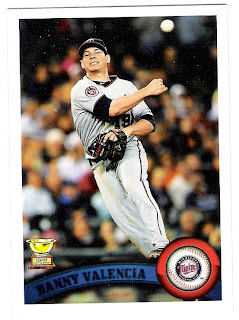 and even though they used the photo from what would be valencia's second card in series 2, they managed to get the rookie cup on it. makes sense to me. are there any other players that got two cards thanks to a rookie cup? with alexi casilla lurking and jose bautista sliding in. same photo; it just looks better in landscape. 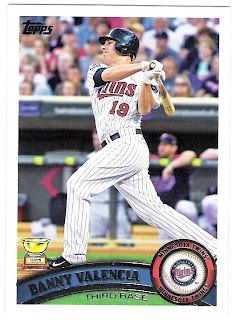 topps got that one right. 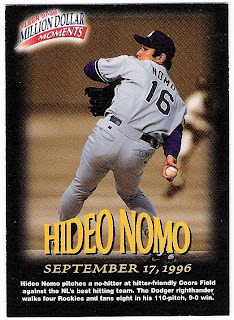 it's been 15 years since hideo nomo doomed the presidential candidacy of bob dole by no-hitting the colorado rockies at coors field. 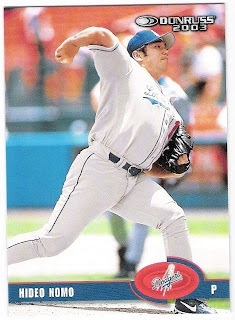 the dodgers won 9-0 as nomo struck out 8 and walked 4.
it may not have been a "million dollar moment" as fleer suggests on the card above, but it was a big deal, not just because it was a no-hitter, but because it came in denver against a team at the peak of the 'blake street bomber' days. in fact, nomo's previous start in denver that season had lasted 5 innings and resulted in 9 runs (5 earned) allowed. dole, of course, figures in because he was on the campaign trail in los angeles at the time with just a couple of months before the presidential election. 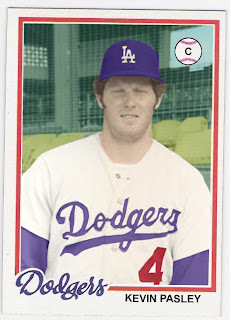 he tried to impress the crowd with his knowledge of the local sports scene, except that he stated that nomo had pitched his no-no for the brooklyn dodgers. a couple of weeks later, dole fell off of a stage during an appearance in northern california and that was pretty much all she wrote for the senator from kansas. after he spun a second career no-hitter with the red sox. 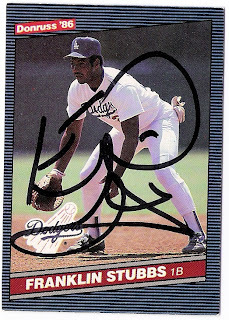 it's franklin stubbs day over at oh my o-pee-chee!, but he's unfortunately shown as an astro headed to the brewers on his 1991 text variation. so, i figured i would show off the dodger cards he has signed for me over the last couple of years through the mail. 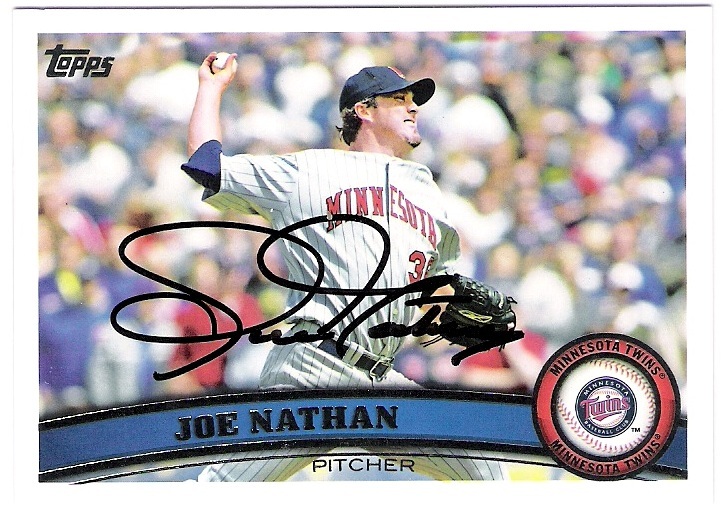 i know this blog has lately become a ttm blog and that's not really the intent. hang around and i'll get back to doing other stuff that may be as equally boring. 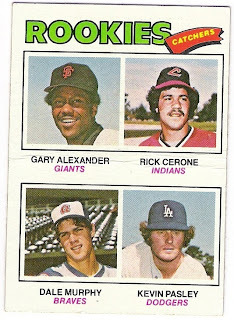 like the several trade posts i've not gotten around too or the last few 1978 topps bk dodgers cards that should have been. but today, it's all stubbs. 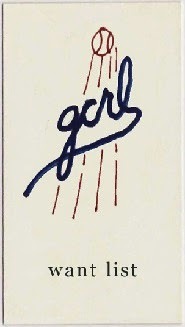 that's a crazy signature. 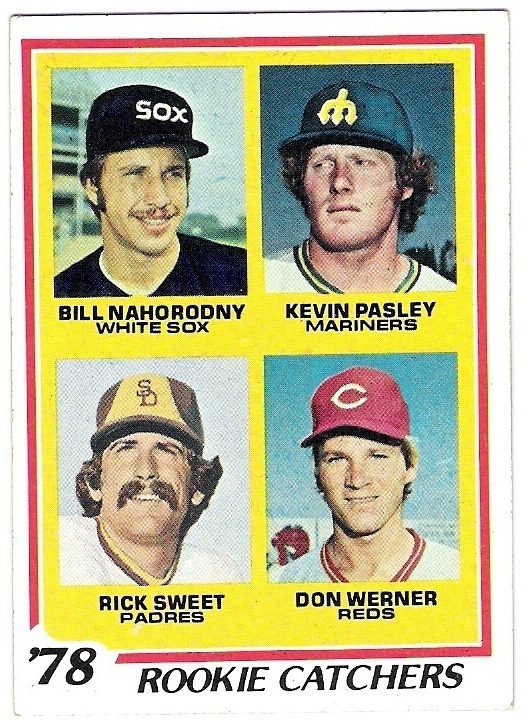 how about a 1986 donruss? nice to see dodger stadium. 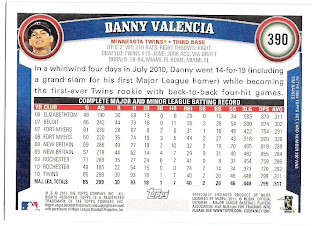 finally, a 1990 upper deck card from somewhere on the road. 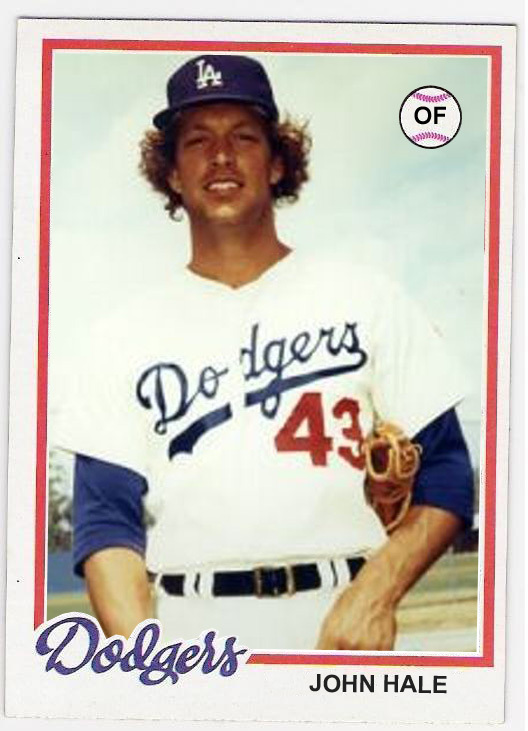 by the time this card had been issued, stubbs was in houston and the dodgers had a lefty reliever named terry wells to show for it. after spending a few years in the braves organization managing and coaching in the minors, stubbs was the hitting coach for the dodgers' minor league team in the inland empire in 2010 and then this year took a similar job with their chattanooga team. thanks franklin for signing my cards! 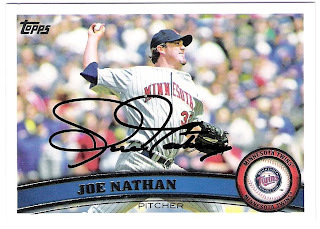 thanks to you guys for reading yet another ttm post! in honor of ed vande berg's fantastic 1986 o-pee-chee team and text variation which is on display today over at oh my o-pee-chee!, i bring you the cards that the lefty reliever has signed for me through the mail. there wasn't much to vande berg's time with the dodgers, and i remember him most as the guy who was acquired for steve yeager as the team of my youth continued to be dismantled. 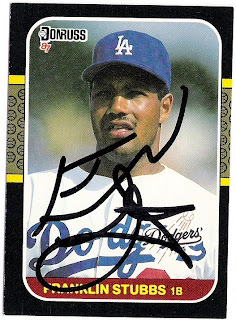 still, he had a few dodger cards and was kind enough to sign them for a dodger collector. 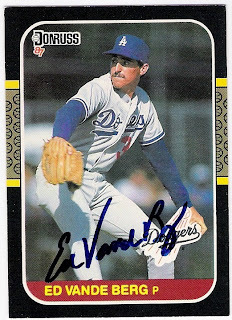 the topps card has an o-pee-chee variation as does his 1986 card as vande berg spent just one year in la. still, that was enough time to make a mark on my collection - both then and now. 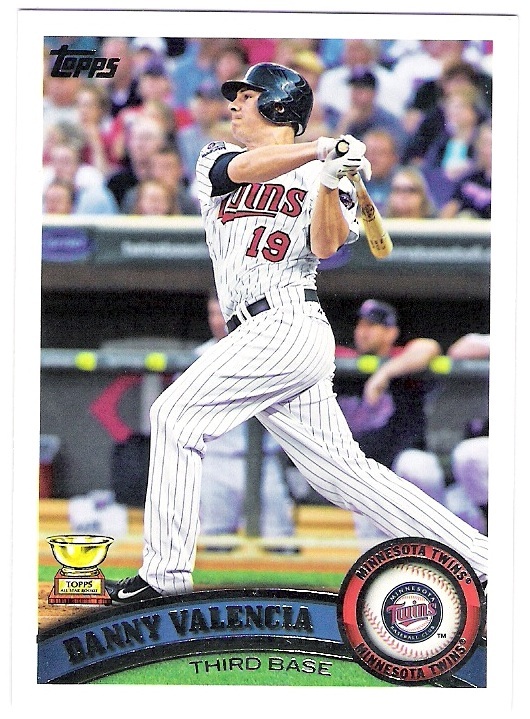 which features a photo from a spring training game with dodger juan samuel sliding in to home. it's always nice to see dodgers lurking on other people's cards, especially when they can turn a yankees card into a keeper for me. i have a soft spot for samuel because i followed his early years as a second baseman with the phillies pretty closely. 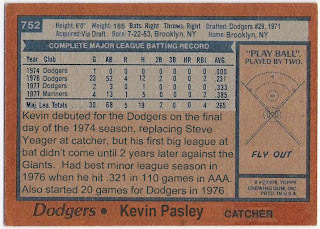 by the time he came into the league for good in 1984, i was playing pretty much nothing but second base. 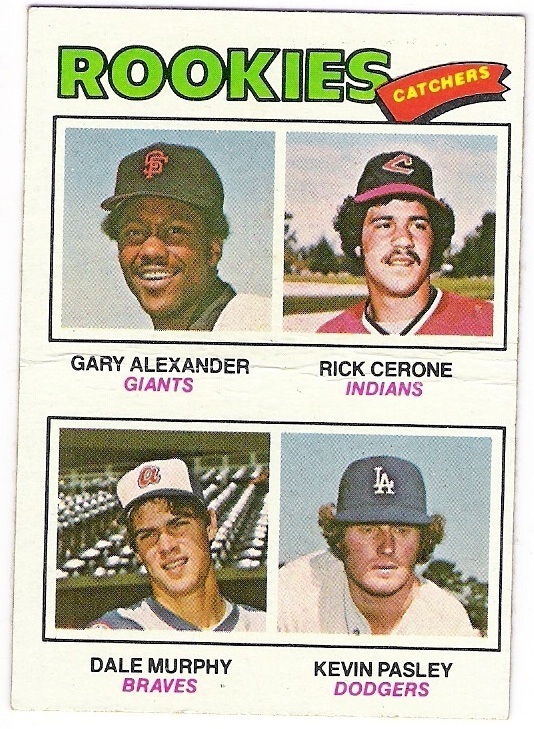 so, i paid a lot of attention to samuel, ryne sandberg, and of course steve sax. 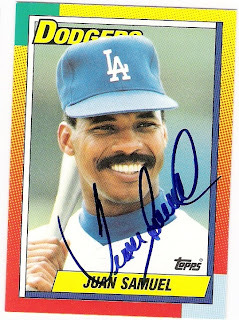 by the time the dodgers acquired samuel in a december 1989 trade for alejandro pena and mike marshall, he was playing center field. 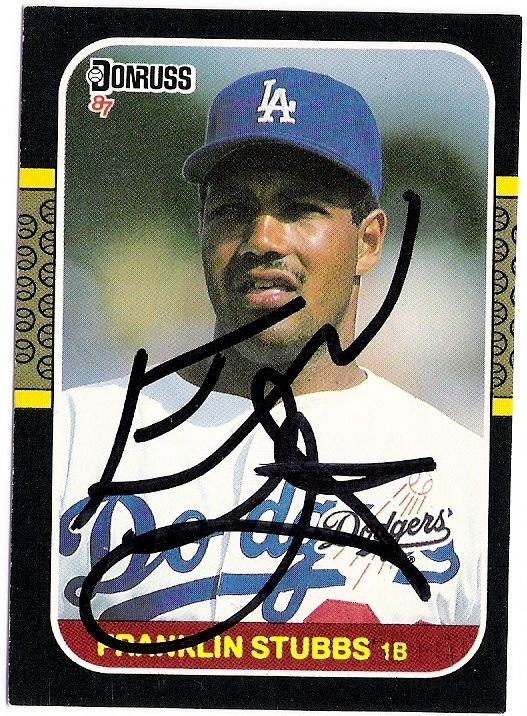 the dodgers moved him back to second base and he even made the all-star team there in 1991. after that season, the dodgers re-signed him to a big free agent deal but wound up releasing him halfway into the 1992 campaign. i'm glad there are no yankees on it. it shows samuel breaking for second in dodger stadium. 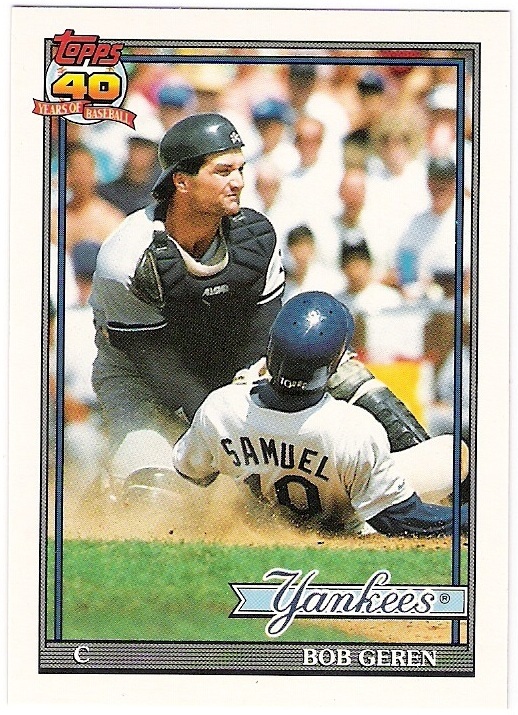 samuel did steal 38 bases in 1990, but was caught 20 times. 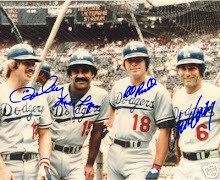 i assume samuel wore number 10 instead of 8 (which he wore for most of his time in philadelphia) because joey amalfitano was wearing 8 for the dodgers and didn't feel like giving it up. whatever the reason, samuel took over the penguin's number from dave anderson who left for san francisco. 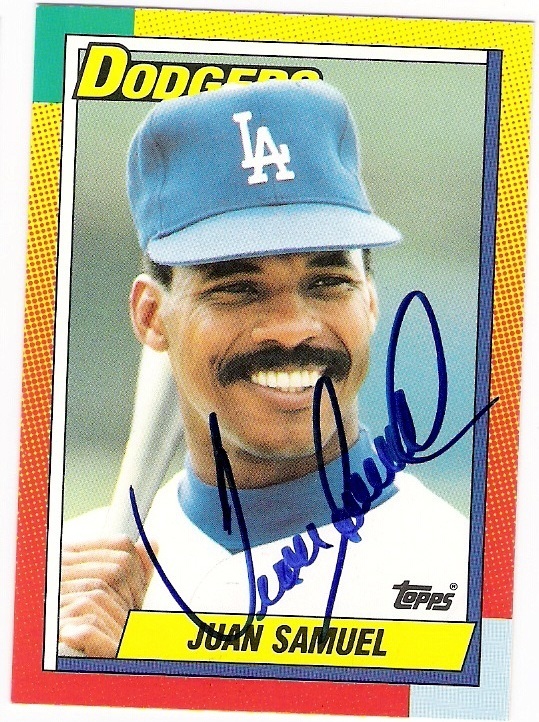 when anderson returned to the dodgers in 1992, either he didn't ask for 10 back, or samuel refused to give it up so he wore 12. it must not have meant too much to andy, since he kept number 12 even after samuel was released. because i couldn't find a 1984 fleer and i wanted something from his days as a phillie when he was one of the most exciting players in the league. just like back then, samuel didn't disappoint. this year, for the first time in at least several years, the twins did not host an autograph party. in years past, it was held in mid-june with current players signing from 11-130 or so and former players going from 2-330. something like that, anyway. 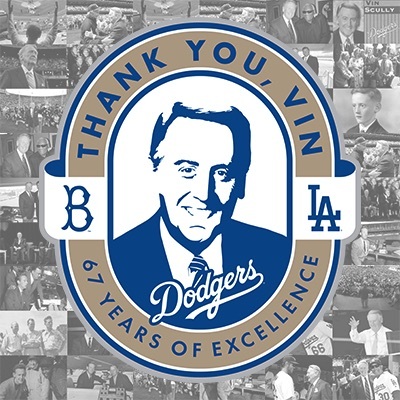 i had attended the last 3 years and had a good time each year, even if orlando hudson didn't sign dodger stuff. 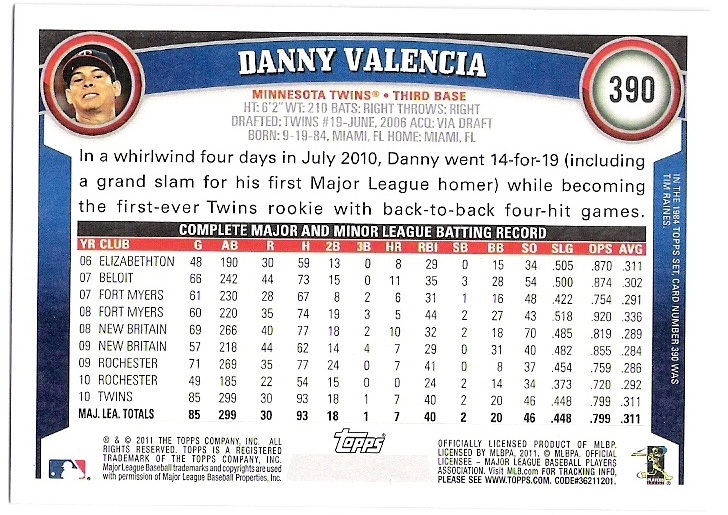 apparently, after last year's rain dampened and somewhat crowded affair at target field, and the continuing complaints of the players, the twins decided to not have the party. instead, they did some other community outreach events although i am not sure what replaced the fundraising aspect of the autograph party tickets. 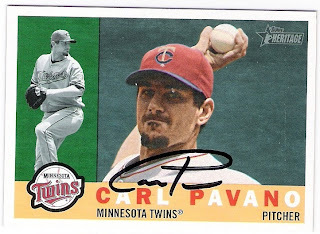 anyway, i have had some recent twin ttm successes that helped soften the blow of not standing in line for hours on the crowded target field plaza. with chain link fence and an automobile in the background. kelly continues to associate with the twins. he has filled in on broadcasts this season, and is also often featured in their better 'twins territory' commercials. 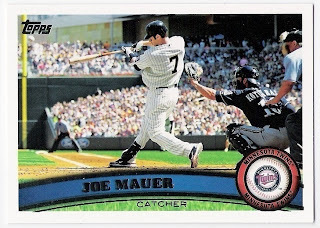 tk with a mullet was almost as good as the jim thome as paul bunyan commercial as far as this year's crop goes. 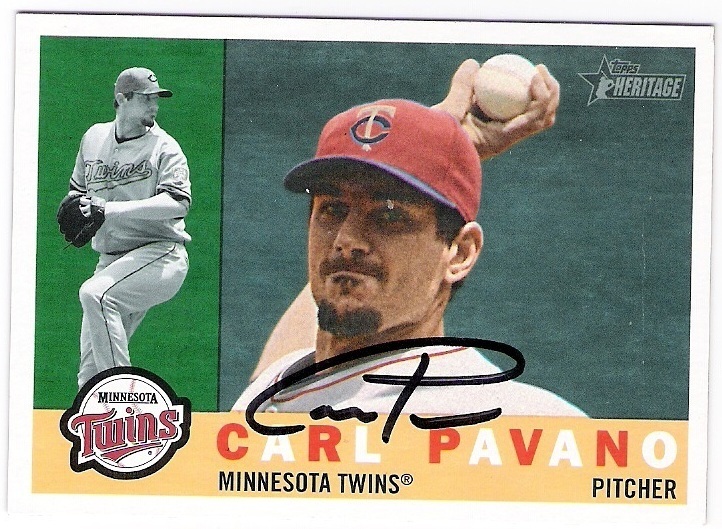 i had also sent a 2000 topps from pavano's time with montreal but that one didn't come back. 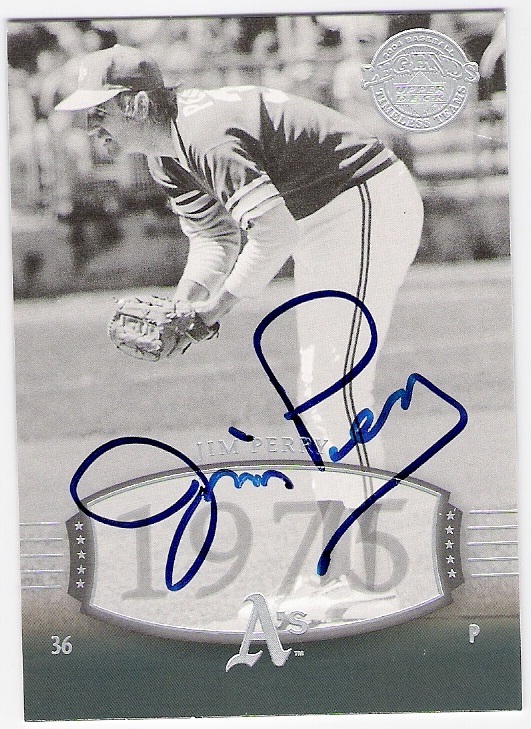 perry spent just two and a half months with the a's during the 1975 campaign. it was the final stop of his career. 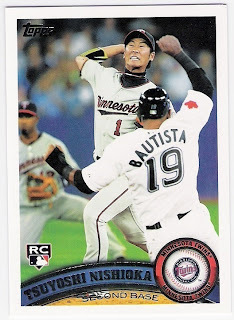 repko has been getting a fair amount of playing time this year as so many twins regulars have been injured. 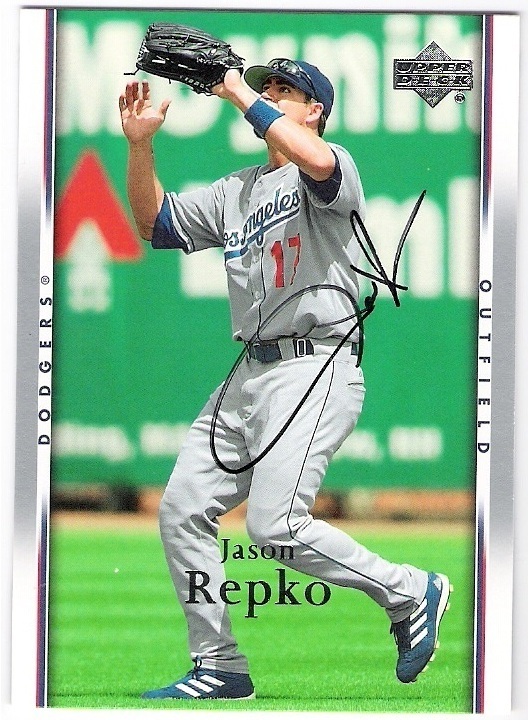 although repko is not immune to the dl himself. he is signed only through this season and i have a feeling there will be a clearing out of the fringe roster players during the offseason. 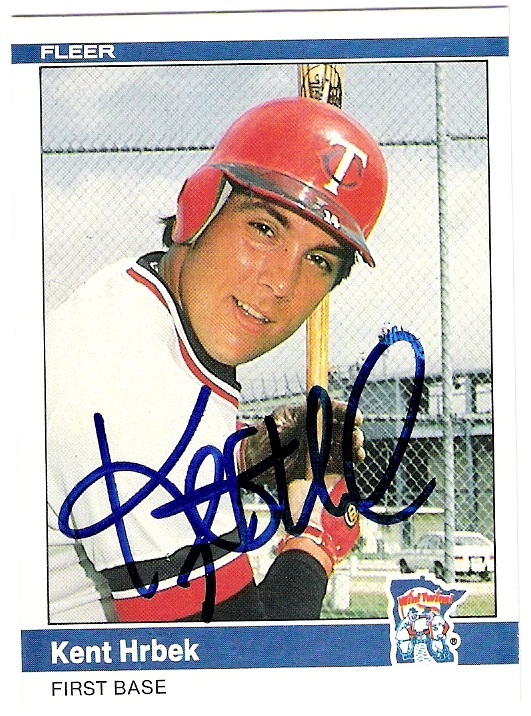 isn't a ttm success, rather i had it signed at an appearance rauch made during his time with the twinkies. thanks guys for signing, as always.